Hegewald & Peschke develops and produces high-quality machines for the destructive material testing and the testing of components and finished products. Due to a modular construction concept of the entire measurement and testing technology individual customer requirements can be realized next to the serial manufacturing. 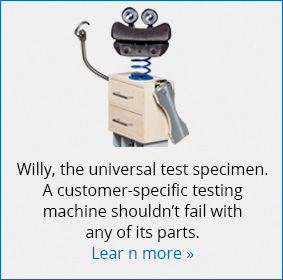 The product range involves amongst others universal testing machines, machines for component and furniture testing, hardness testing devices, special testing machines as well as 1D length measuring devices. Beyond that the DAkkS-calibration and the modernization of testing machines as well as measuring technology are offered. The new Inspekt solo for test loads up to 2.5 kN is a further development of the inspekt mini series for standard-compliant material and component testing in the low load range. It is available in three different test chamber heights. The ergonomic design and the new drive concept with stepper motors guarantee a safe and fast measurement with the simplest operation. 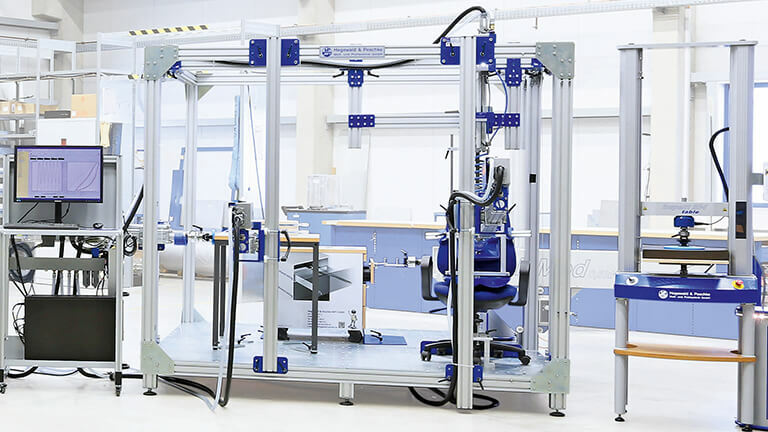 The Inspekt solo is a low-cost table-top instrument of low weight and high bending stiffness suitable for tensile, compression and bending tests on a wide variety of materials.